Porsche has just announced they are expanding their Youth Development Program to a total of six drivers for 2018. Four of the drivers, aged between 18 and 23, will be sponsored by Porsche in international GT racing as "Porsche Young Professionals", and two of the six will race as "Porsche" Juniors in the Porsche Supercup, the support series for Formula 1. The six drivers have varying levels of experience, but have all proven fast and successful in the regional and national series they have competed in thus far. Per Dr. Frank-Steffen Walliser, Vice President Motorsport and GT Cars, “All our young racing drivers have developed superbly in 2017. The one-make cups, in particular, have proven to be an outstanding springboard for the Porsche Juniors.” Three of the six drivers competed in Porsche one-make series for 2017. One raced with Dempesey-Proton Racing in the 2017 WEC-Endurance Championship, and one competed in both ADAC GT and selected rounds of Pirelli World Challenge. Norway's Denis Olsen won the 2017 Porsche Carrera Cup Deutschland. Over the 14 race season, Olsen placed on the podium 12 times, with six overall wins. His high level of consistency makes him a promising prospect for Porsche. Olsen also raced in the international Porsche Mobil 1 Supercup, racing for the Walter Lechner Racing Team. In the Supercup Olsen claimed victories at both Silverstone and Spa-Francorchamps, and ended the season second in championship standings. 2017 ended two years of support as a Porsche Junior, and will now spend 2018 in international GT racing with a customer team as a Porsche Young Professional for 2018. Campbell debuted in the Porsche Mobil 1 Supercup in 2017. This was the young driver's first foray into European motorsport. The Warwick, Queensland native previously competed around his native Australia. Before the Supercup, Campbell raced both single-seater Formula cars and Porsches in Australian one-make cups in Australia. After eleven races in the 2017, Campbell finished runner-up in the rookie competition, and third overall. Campbell has four wins under his belt, including Spielberg, Monza, and a double-header in Mexico City. Campbell will use the 2018 season as a Porsche Young Professional to make the next steps in his racing career. Cairoli, a somewhat familiar name on these pages, spent the 2017 WEC season driving a 2015 Porsche 911 RSR fielded by Porsche customer team Dempsey-Proton Racing. Cairoli finished the season as runner up in GTE-Am, and won his class at both the Nürburgring and in Mexico City. 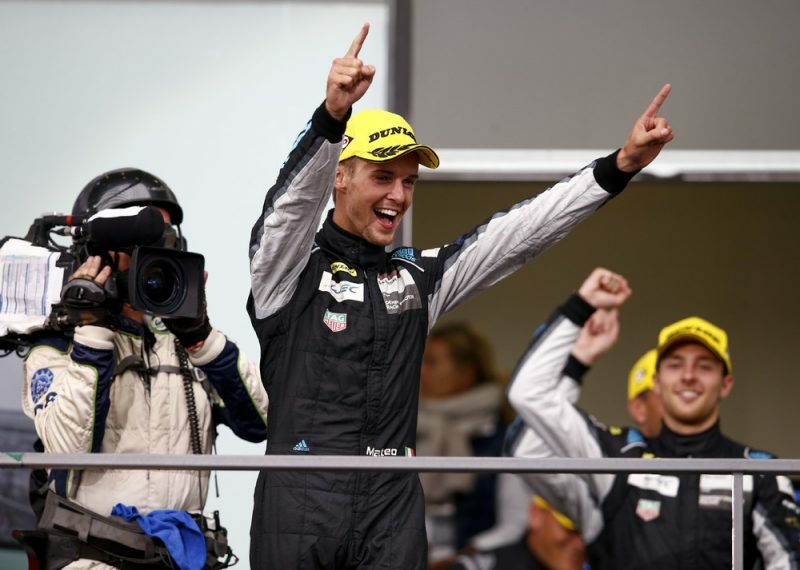 The 21-year old Italian finished sixth in class at the 24 Hours of Le Mans, and brought home a second place finish at the 24 Hours of Dubai with Manthey Racing. Cairoli will spend 2018 as a Porsche Young Professional. Mathieu Jaminet, of France, had the most varied 2017 season of the four Young Professionals. Jaminet competed in ADAC GT Masters with KÜS Team75 Bernhard, as well as select rounds of the Pirelli World Challenge with GMG Racing in the United States, and several rounds of the IMSA SportsCar Championship with Alegra Motorsports. Jaminet, 23, won the GT-X Pro-Am class in the races at both Utah Motorsports Campus and the Circuit of the Americas. Jaminet will compete in 2018 as a Porsche Young Professional. The second youngest driver to join Porsche's Youth Development Programme, Thomas Preining, is just 19 years old. The Austrian competed in the Porsche Carrera Cup Deutschland for 2017, and will be competing in the Porsche Mobil 1 Supercup in 2018. In 2017, Preining won the final race of the season at Hockenheimring, and finished third at the Norisring. Preining also competed in and won the Porsche Carrera Cup invitational race at the Nürburgring, which saw the young driver share the bill with the WEC. Preining has competed in the Mobil 1 Supercup three times, with appearances in Budapest, Monza and Mexico for 2017. Preining will join the Mobil 1 Supercup as a Porsche Junior for 2018. The youngest of the six drivers, Julien Andlauer, is 18 years old. The young Frenchman won the overall title in the 2017 Porsche Carrera Cup France, winning seven races over the course of the season. Andlauer was nominated by his national series to take part in a two-day trial at the Lausitzring, where he bettered eight candidates to earn entry into the Porsche Mobil 1 Supercup. Andlauer made his international debut at the season finale in Mexico City, where he finished fifth. Andlauer will compete in the international Mobil 1 Supercup as a Porsche Junior for 2018. We look forward to seeing this field of young drivers succeed with Porsche in years to come. These are very exciting times for the six racers, and we look forward to seeing four on the podium in the WEC, and two in the one-make Porsche Mobil 1 Supercup.